If you are a fan of afterwork outings, enjoying a holiday in Barcelona is definitely your best bet. As in any other large city in southern Europe, leisure options are not limited to the weekend: from Monday to Friday, any tourist can fill their agenda with interesting cultural or gastronomic experiences. However, today we want to focus on the latter, presenting you some of the coolest bars in Barcelona. Although our apartments for rent on the beach are an ideal place to eat, dine or enjoy a drink with your partner or friends, the Catalan capital is full of places that you should not miss, and where you can toast your Barcelona getaway. 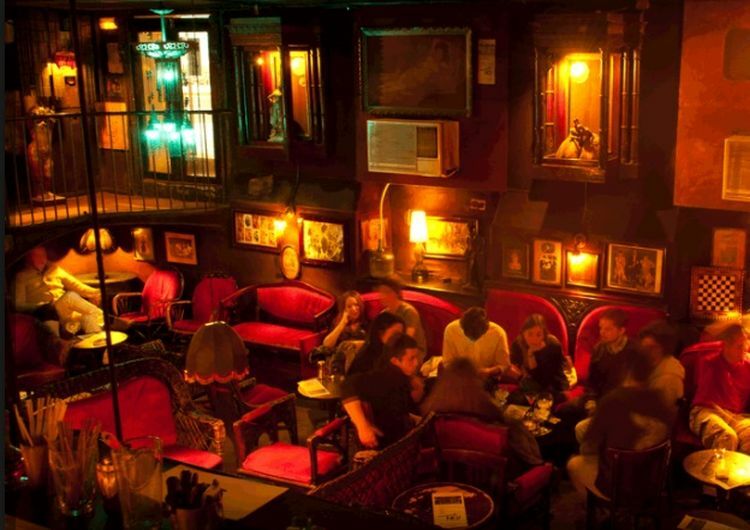 Raval, one of the most fashionable neighborhoods, hides jewels like this old bar with a vintage and decadent air. While it may seem paradoxical, it’s neglect is part of the charm of this place. There are walls and chipped ceilings awaiting , shelves with empty glass bottles, covered with cobwebs. There is no heating or Wi-Fi, and it is the client who has to pick up their drinks at the bar. Yes, we already anticipate that this will not retain you from falling in love with this unique establishment, whose flagship drink is Absinthe. Without doubt, if Charles Bukowski or other cursed writers raised from the grave, they would surely choose this corner to drown their sorrows. This place has managed to make a name for itself among the great classics of Barcelona and the town of the disappeared Chinatown (the current Raval). 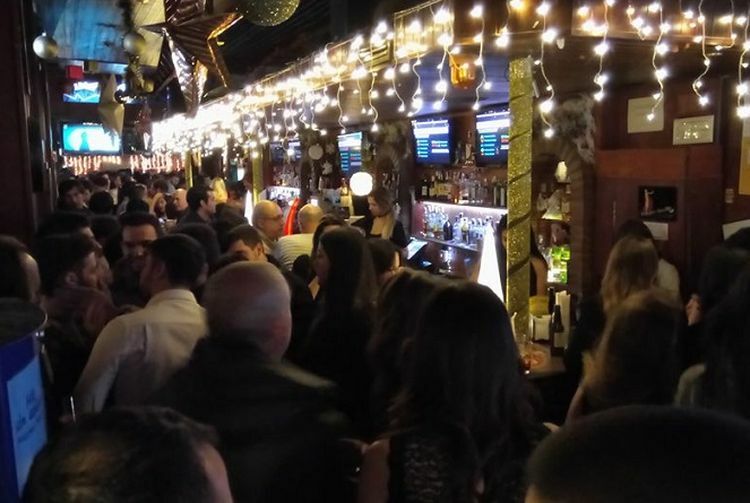 Along with other heavyweights in the area, such as El Cangrejo, it is one of those timeless bars that continue to fill with people every weekend. 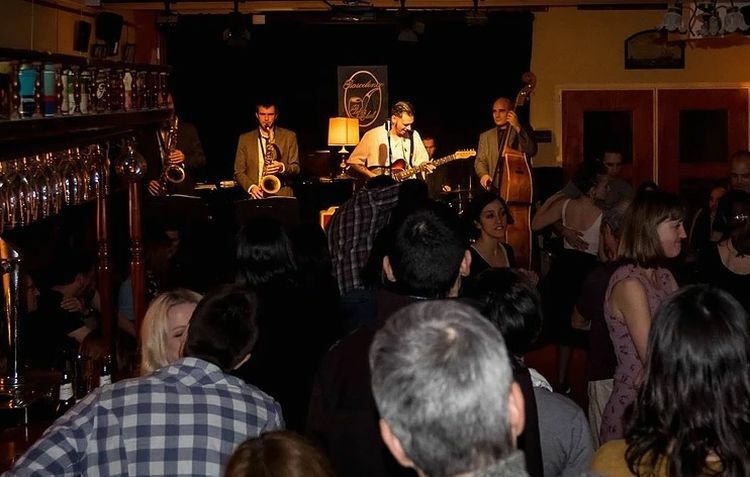 Its name is linked to the presence of US Marines between the fifties and seventies, and has managed to make a name for itself as a true institution of Barcelona’s nightlife. It is located on Arc del Teatre, 11. Although we already dealt with this coquettish bar in our article about romantic places in Barcelona, we could not leave this wonder on our list of coolest bars in Barcelona. 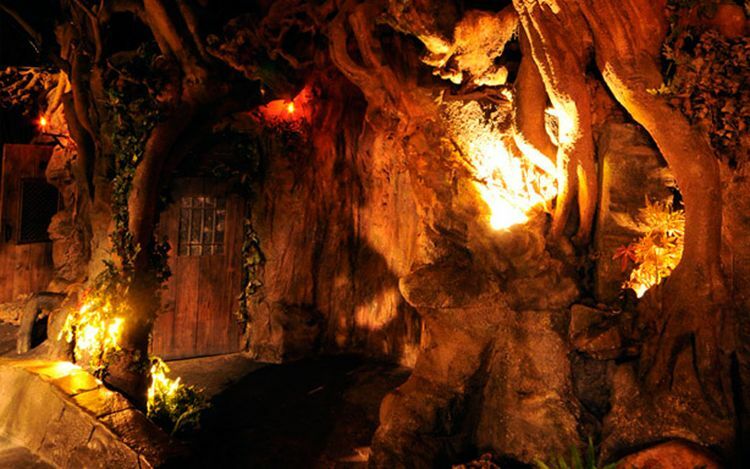 Set in a beautiful forest dotted with mythological beings, like goblins and fairies, this attractive space located next to Les Rambles and belonging to the Wax Museum will immerse you in a magical universe. Do not miss the recreations of storms with lights and sound: you will feel as if you were in the middle of nature. Moreover, this could definitely be on our list of fun things to do in Barcelona. Luckily, not all the cool bars in Barcelona are going to be new venues. 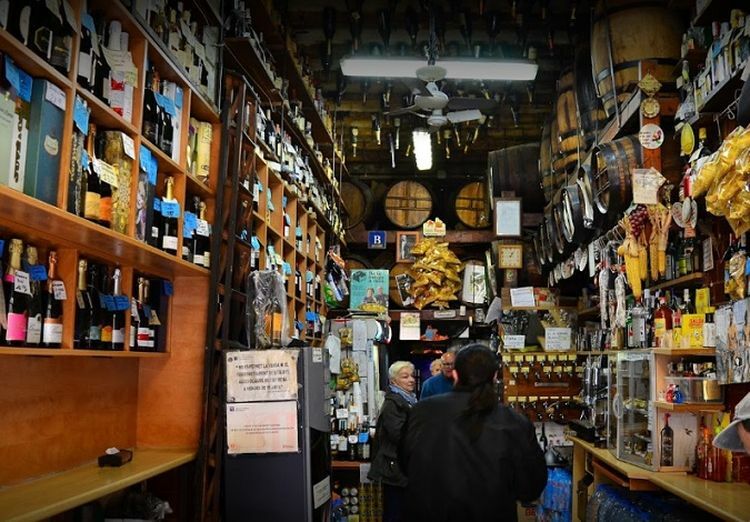 In the iconic neighborhood of Gràcia (street of Milà i Fontanals, 72), one of those century-old establishments invites visitors to travel back in time. We speak of the Marín winery: an authentic place, full of the aroma of the old barrels and the know-how of its owners. This bar is perfect for tasting an exquisite vermouth, but is also considered one of the best places for eating in Gràcia, thanks to its tasty homemade mushroom croquettes, crispy cod fritters … We assure you that you will love it. A bar of British-looking with a long history that begins in 1980, this cozy place has been successful in its change of location (before it was in the picturesque Reial square). Currently located in the street of Santa Eulàlia, 21, in Gràcia, this association of just over 400 members is open to any visitor, even if you are not a smoker. Its rooms accommodate live jazz performances, gastronomic tastings, dinners and social gatherings starting at 5:00 p.m. What do you think about this offer? The metallic seats of an old merry-go-round, distorting mirrors, automatons, walls painted with characters from the old circuses … This is the presentation card of La Fira, a pub whose interior recreates an old traveling fair. 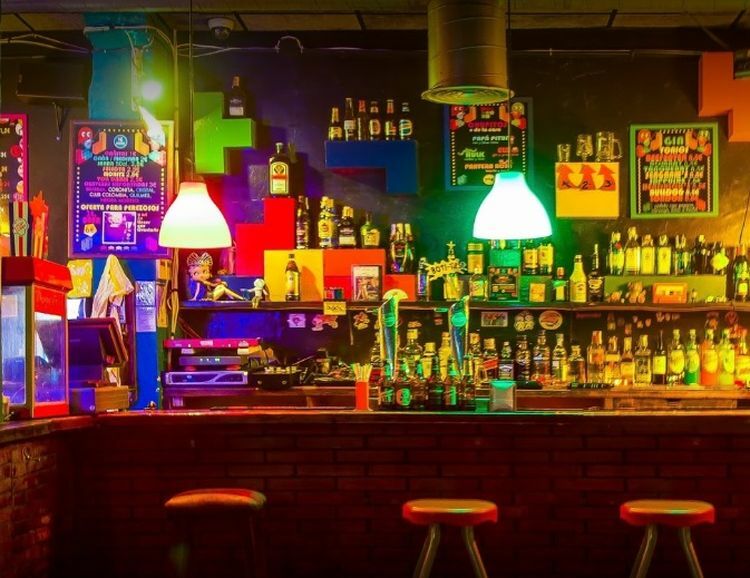 This bar-museum is an invitation to learn more about our grandparents’ childhood, and pays homage to emblematic places of Barcelona’s imagery that have already disappeared, such as the Apolo attractions. All these surprises and many more await you in Carrer de Provença, 171, very close to the metro station of Hospital Clínic (L-5). 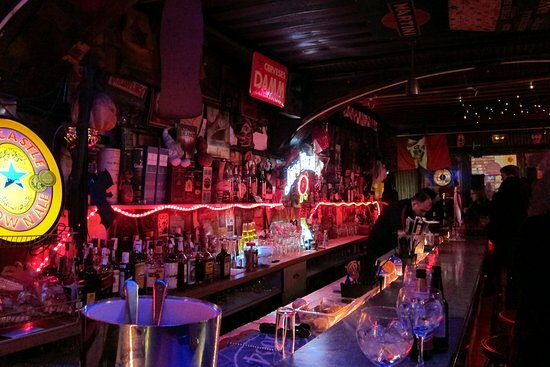 This has to be one of the coolest bars in Barcelona. Inside, screens show how the price of beverages vary, following the stock exchange fluctuation. Thus, as the demand of a given beverage increases, so does its price and vice versa: if a cocktail or drink is losing acceptance, its price will fall, which encourages customers to order it. Do you dare to put yourself in the shoes of a broker? 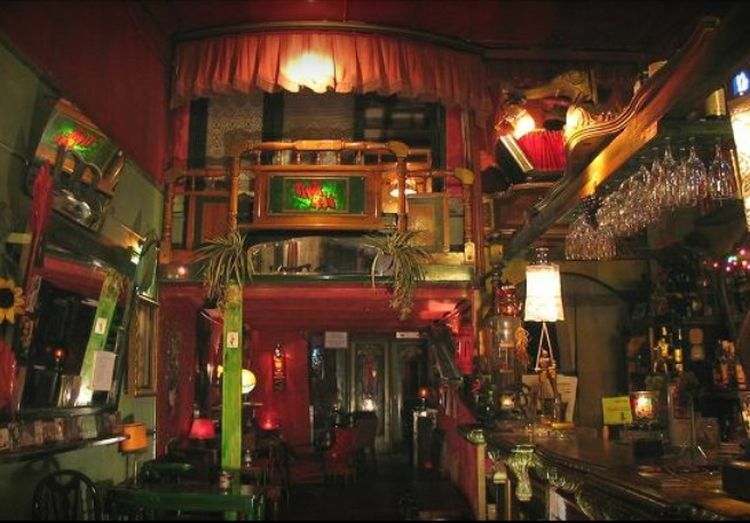 If so, come to this amazing bar, located at number 17 on Tuset street, a short distance from the Ferrocarriles de la Generalitat station of Gràcia. If you grew up watching E.T. and listening to bands like Queen or Police, this is your sanctuary in Barcelona. Decorated with vinyl album covers and Polaroid pictures, this bar in the Gothic Quarter (c / Còdols, 29), is an excellent choice to savor wines, beers or gin-tonics surrounded by your childhood toys. Characters such as Smurfs, Hulk or Alf will accompany you on your night outings while the great hits of the eighties and nineties are played. Open from 7:30 p.m. to 02:30 p.m. In the heart of Eixample and very close to Passeig de Gràcia, you will find a modernist-inspired pub, quiet, cozy and operational for more than five decades. Its red velvet seats, its careful lighting, its art-deco lamps and its musical thread will transport you to another era. And to round off this sophisticated and bohemian atmosphere, you even have a tarot card reader at your disposal (the tarot reading is not included in the consumption). Our tour of the coolest bars in Barcelona ends in one of the most beautiful streets of the old town (Baixada de Viladecols, 2). 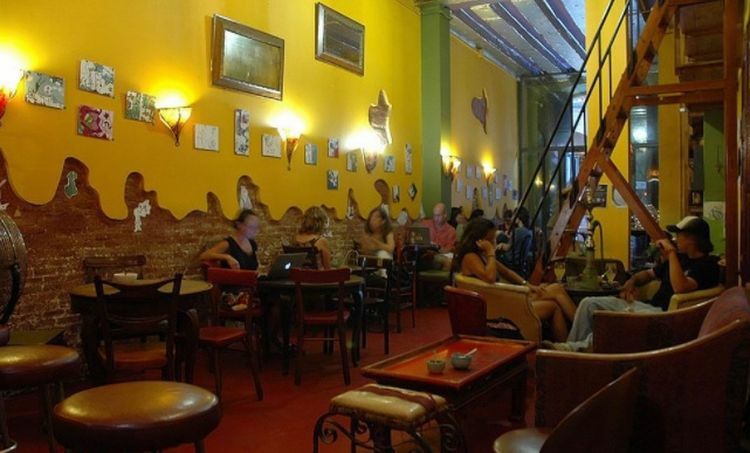 This colorful tea room, exquisitely decorated and with an extensive menu of teas, infusions, natural juices, smoothies and homemade pastries, is a haven of peace in the heart of the Gothic neighborhood, in the vicinity of the Roman wall. You will return, as it’s a great spot to rest after having visited the most interesting medieval buildings in Barcelona. 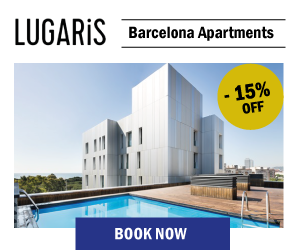 We are sure that any of these establishments will put the finishing touch to your trip to Barcelona and your stay at Lugaris Beach or Lugaris Rambla. 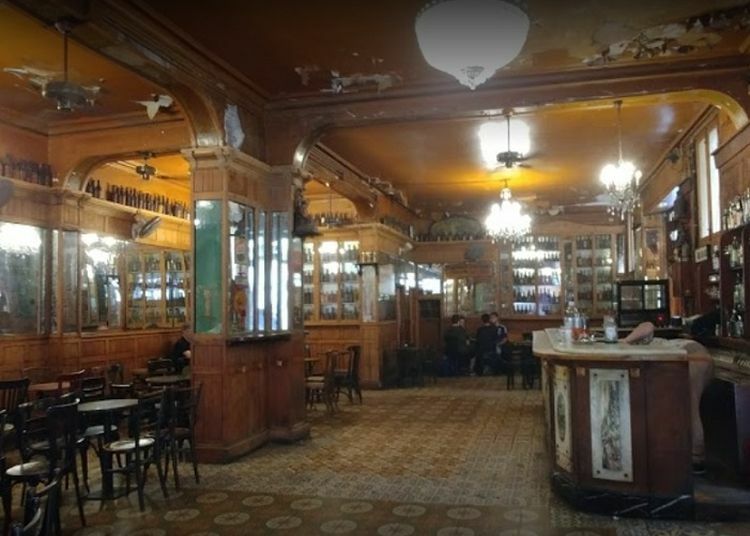 Nevertheless these are not the only options: if you know other bars with charm in Barcelona … do not hesitate to send us your comments and help us complete the list!